Devin, "we are going to invest in our platform", next, we are going to raise fees so we can invest in our platform, the 'New eBay experience'. What a joke this man is, sales keep declining across the board for sellers so he raised listing fees to .35 cents, this means sellers will list less inventory on eBay, and then they raise the FVF again. Talk about being lost and lying to save your own arse. How can that fool Wenig differentiate the $1B in sales supposedly generated from AI from the ones that would've happened anyway WITHOUT AI? Causality and correlation are related, but ain't the same. For Wenig, causality doesn't exist...it'a ALL correlation, so his numbers mean what he SAYS they mean, not what they ACTUALLY mean if examined in a true statistical manner. Knowing that, his departure statement will be an instant biz school classic. It is just Devin's BS for Wall Street, he does not have any growth numbers so all he has is the BS to feed Wall Street about AI, Augmented Reality, Replatforming, Advertising Surface inventory, Velocity, Box Moving, Seller Hub, eBay Payments and all the rest of the BS Wall Street Buzzwords he uses. That is all Devin has left, he has no growth numbers to show Wall Street, all he has is the 10% of the work force he laid off. Thanks for the reminder. I have it now on my daily task list.....lol. Wenig, my little tweets are coming for you. why is that such a hard concept? If you want to make money - you need to SELL things - even a child knows this. eBay doesnt need "replatforming" or AI or anything else. Amazon as good or bad as it is - understands that people who hang around the site (stay there to shop or revisit it for what ever reason(s) music, movies etc) BUY MORE. Plus as a buyer (well an ex buyer) sometimes - even if I cant find what I want - if whats there is interesting - Ill think about buyingit/save it for later in case Im interested THEN buy it later. They left out Paypal because of the reasons notated above - they were afraid that Paypal may have access to the system - and either blow it up, see "the secrets", or let the cat out of the bag - that its all a house of cards. eBay - the one company that you can always count on to do the WRONG thing. The New Wenig Platform...aka The Gallows. the titanic hit the iceberg when meg left. Each of the people who took her place are steering the sinking ship. It took on a lot of water after meg was gone, the guy who took over from her was basically ramming the boat into more icebergs, having fun all the way, making tons of money, claiming the ship was too heavy and blaming the passengers, (sellers). So, he started tossing them overboard no life jacket, no notice...now, there are less people on the sinking ship, they let some of the crew go, they expect the remaining passengers to help bail water, except they give them a solo cup to help bail. Step out of line, they’ll toss you overboard as they need to.. good luck to the remaining passengers. oh well it's nothing out of the ordinary for ebay, they've screwed their sellers before far worst, and continue to do it everyday, to this very day. Who on EARTH would voluntarily sign up for an Ebay beta anything???? Rexford nailed it-buh bye cheerleaders. 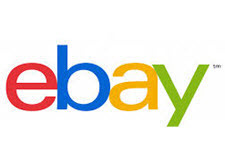 ebay is sitting on $5B+ offshore. I assume at least 2,000 of their 12,000+ employees are ful-time in the U.S. and abroad. We all know they CAN...they're simply too cheap to invest in themselves. But they'll send 300+ employees to ebay Open, which produced a fat ZERO on ROI. The fact that Ebay is releasing any information about not being ready for the transition tells you there is a lot more wrong with the ship than just that. Ebay NEVER admits that there is a problem, so for them to finally admit that something is wrong means that they are hoping by disclosing this tidbit of information that all the questions will go away before somebody discovers the real issues. You are right that there are major issues of some type, whether they got hacked and are afraid to include to much information now or that the offshore programmers they have been using totally screwed the programming up. Heck they are so useless from what i have seen they probably forgot to make it so the program could accept anything but Paypal and now while trying to allow Ebay to be Payment Intermediary are having to rewrite the entire program almost from scratch. Evidently Apple Pay is easy for them to program or Ebay or one or more of its executives are getting a kickback for putting them on first which would not surprise me in the least. Ebay is run by a bunch of con-men and criminals who have been stealing from Ebays shareholders right in front of their eyes by continuing to lie about how this platform is working. Heck I would not be the least bit surprised to learn that Wenig got a nice kickback on every one of the contracts that were approved for the cheap offshore labor as that is not an uncommon occurrence in that part of the world. Would not be surprised to see Wenig get a huge golden parachute from the Chinese when he leaves either as his payment for putting them ahead of everyone else. Wenig is just like a politician who votes for whatever puts the most money in his pocket, whether it is now or after they leave office with $100K for 10 minute appearance at a fundraiser of some type or if not the President suddenly is offered a corner office position with a firm where his name is on the door but the are never there while drawing $250K a year salary for all their previous hard work. This stuff will eventually all start coming out once he is gone from Ebay. I hope that when it comes out that Ebay BOD (hopefully a new one) sues him for breach of fiduciary responsibilities and gets back every penny he was ever given in bonuses and even the employee stock sales. Carl Icahn was right on the money when he said that Ebays management was the worst he had ever seen, which is why HE FORCED the splitoff of Paypal and then took all of his Ebay investment and put it into Paypal. So While EBay has hovered around the same price for the last 3 years, Paypal has almost tripled in price. Paypal even had to take Donohoe with them but made him nothing more than a figurehead as COB. Donohoe finally realized he was nothing at Paypal and left to destroy another company that nobody has heard a thing about since. Why do these BOD not do their homework when hiring CEO's and just plug in the easiest fit from the ole boys network? When Wenig took over the company 3 years ago that $5 billion sitting offshore was more like $9.5 billion, so he has cost them a fortune while trying to continue shoring up the stock price repurchasing shares each year. This year they actually had approved $6.5 billion in buybacks (other years were only $2.5 billion) which shows that Wenig knew a year ago that his program was going to fail and he wanted to use the buyback program to once again falsely boost the stock price. "When Wenig took over the company 3 years ago that $5 billion sitting offshore was more like $9.5 billion"
1000% right. The money was sitting offshore. It was listed in the SEC 10k filing back then - and I too mentioned it a few times. It virtually went up in smoke with all of DW's games. eBay dis NOT address anything. No explanation was given, no details were released. Its a shame to "hoodwink" people - yes they may have been "warned" but what kind of beta is it that stops the most common type of payment from happening .. why cant they be CONCURRENT? I opted in for the GSP beta. It was great until eBay raised the shipping rates to unsustainable levels - GSP sales went up in smoke, PLUS eBay changed the rules visa via defectives on items when shipped GSP. It used to be that if they were in the condition listed when they hit Kentucky then you were covered for SNAD (along with INR) - since like with trans shippers - the seller has no control over what happens when it goes off to another entity or country. Now of course - Returnsbay changed those rules and people thousands of miles away in other countries get to play with things and its "all the sellers fault". So ... i know no longer do GSP on some items - if I want to gamble - Ill go to Vegas, not sell on eBay! You said...I opted in for the GSP beta. It was great until eBay raised the shipping rates to unsustainable levels - GSP sales went up in smoke, PLUS eBay changed the rules visa via defectives on items when shipped GSP. It used to be that if they were in the condition listed when they hit Kentucky then you were covered for SNAD (along with INR) - since like with trans shippers - the seller has no control over what happens when it goes off to another entity or country. Now of course - Returnsbay changed those rules and people thousands of miles away in other countries get to play with things and its ''all the sellers fault''. I had thought that the GSP had changed. All of a sudden I saw that Sellers were getting SNADS with the GSP. then I went and read that again that Sellers were responsible for SNAD's. I was sure that in the beginning ebay said that Seller's were not responsible for SNADS. Then Pitney Bowes was taking out extra padding to reduce the size of the Sellers shipments. That surely didn't help Sellers with breakage and losses. On top of that PB was adding so much to the customs charges and way higher than each country charges. Their shipping costs were also much higher. Making the program UNuseful for Sellers. Another great Idea that eBay didn't execute right and lost them Money OR Baines didn't make a good bed partner and changed the rules on eBay. The change to GSP was unannounced or hidden. I opted into GSP - not because Im a cheerlead, but because I had one to many issues with USPS and overseas shipping. eBay CONSTANTLY sided with buyers - regardless of what the website (that showed delivery) said. GSP prices were reasonable, and the promise of no SNAD along with no INR - made my life easier. I shipped to KY and then I was DONE - clean and easy. USPS got better, GSP got worse. I again point to the story of my BRILLIANT Canadian customer with his Marshall Minor headphone (which is why I used GSP). Only came in 3 colors - black, brown, white. I shipped the white colored one he ordered. He claimed SNAD. "Sir, whats the issue?" Buyer... "got a different color". Me ... "well Sir, which color DID you get??? and was the box sealed?" Buyer ..... "yes the box was sealed but inside its not black, brown OR white! ""dont know what it is but its not any of those". Guess what eBay said to me??? "STFU - taking losses is part of business, REGARDLESS of the fact that hes obviously lieing". That and stories like it are why I went GSP. Now that its gone to pot .... maybe Ill go back to DHL (if the prices are reasonable). Didn't realize the GPS Program changed. Are you kidding me? The big sell was that we were released from responsibility once the package reached Erlanger, KY. I have some dirt on Wenpig and his playpen. May be time to contact The FTC and The SEC. Wenpig makes a narcissist look bashful. Can't rest until I see that creature in Khaki and white shoes.